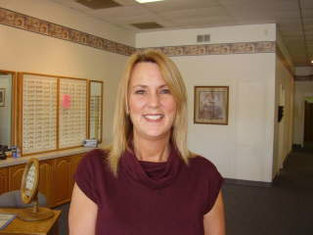 Renee is the Office Manager at the Ballwin location, and has been with the practice since 2000. She has over 30 years of optical experience. Renee knows all the newest technology and products the optical world has to offer, and enjoys helping the patients pick out their eyewear. Outside of the office, Renee enjoys the outdoors, hockey games and riding in her mustang.